Is there anything better than a good pair of jeans? There is a reason denim has been popular around the world for so many years. This season, hipster guys and girls are still rocking the skinny jeans, and edgy types are choosing destroyed skinny jeans or other ripped grunge looks. 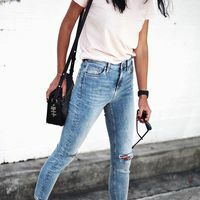 In the summer months, a cute pair of white ripped jeans seems just right, and a pair of black ripped jeans looks trendy and cool any time of year. 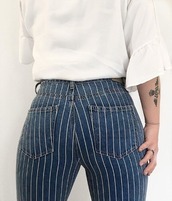 Above all, remember that friends do not let friends wear mom jeans, so consider the style points you will gain by picking out a pair of ripped light jeans today!